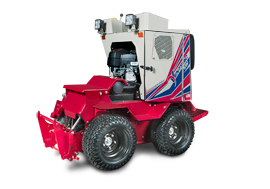 We operate three (3) 4200 VXDs w/ dual wheels, three (3) 72" mowing decks, two (2) 60" Tough Cut mowing decks with optional casters, one (1) Aeravator, three (3) power angle blades, one (1) stump grinder, and two (2) blowers. 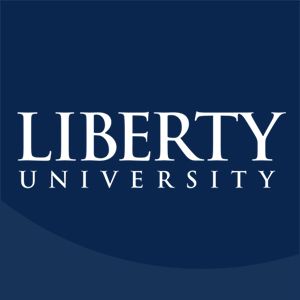 LU is often referred to as "Liberty Mountain," since it was actually placed on the western slope of Candlers Mountain in Lynchburg, VA. As a result, we have a LOT of large banks on campus, and all of which the administration wants maintained. I've racked up about 4000 hours of operating time mostly mowing these bad boys...it's a full time job. 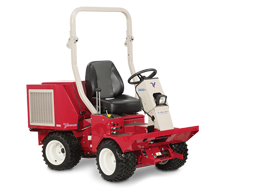 The Ventrac does what no other machine can do, and safely...we mow hills, even while students are busily shuffling around us, with no fear of losing control. We also hold a lot of off-campus properties, for communication towers, off-site storage, etc., and have used our units for chain-hauling large trees we felled (up the side of the mountain, no less! ), and even for pulling out stuck vehicles. They are definitely the work horses of our operation. I operate the 4200's as a full time job in all seasons. I also do the majority of the upkeep on the units...I know them inside and out. I can tell if one of my tires is more than 1 lb. off of the desired pressure (high or low) based on how the unit behaves on a slope. 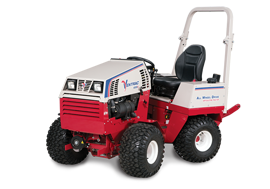 Ventrac has basically been my entire professional life for the last 5 years.